I am currently offering fine art prints, canvases, high resolution digital files and gift vouchers. I have worked closely with interior designers to produce bespoke orders and if have a particular type of media or particular size of print you require, please contact me for an individual quote. The prices you see here are all based in US dollars. 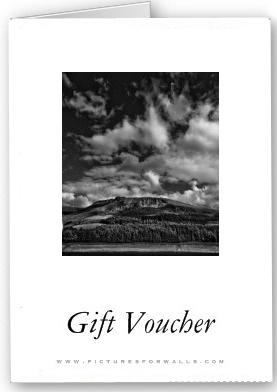 Click here for more information about fine art photography gift vouchers. I can send gift vouchers to you or direct to the receiver with a customised message. The gift voucher comes in a stylish card design as shown below. 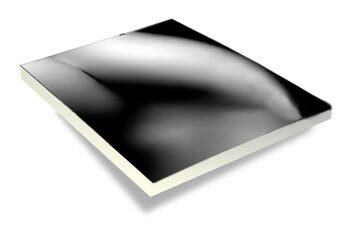 My unmatted prints are shipped rolled. This means they simply need to be matted and framed. I have found that by providing this service, I can keep costs down for the consumer. Once your prints arrive, I would recommend you take them to a local framers and they will provide you with matting as part of the framing service. I do not offer prints framed or matted. This is simply down to the cost of insuring, packaging and sending framed prints. 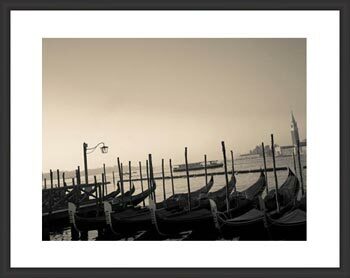 As of 1st February 2014, I have decided to discontinue matting prints as a general rule. The reasons for this are to save costs to you, the customer. If you require matting, please contact me with your requirements and I will give you a quote. Please note that limited edition prints are still matted. Due to popular demand, I now sell canvas prints. Unfortunately, whilst this allows me to produce 6 feet by 4 feet photographic artwork, I do not sign these pieces. All my canvas prints are 1.5 inches deep and are ready to hang. If you are after a bespoke print size, please contact me before ordering to ensure I can provide exactly what it is you are after. All my limited editions are limited to one of 50. Each print is signed, dated and titled by me and comes with a guarantee that you will not find this image anywhere outside of the 50 prints sold. Each limited edition print is 16 x 12 approximately in size matted on 20 x 24 mat. If you would like to buy a pring and do the printing yourself, I can provide high resolution JPG files via email. These files are for a non-commercial, one time use. In other words, the file is provided so that you can make a print beit on your own printer or by a local print shop. This service allows you to print files larger than the sizes I am offering and on all kinds of media.